JOHNSTOWN — Michelle M. Lasnick, 32, of 20 Yost St., was charged by city police at 3:27 p.m. Aug. 2 with second-degree facilitating aggravated unlicensed operation, a misdemeanor. Police said she had knowledge that a person with a suspended license was driving her vehicle and she allowed him to. BROADALBIN — State police in Mayfield arrested 30-year-old Joseph Walters of Broadalbin for endangering the welfare of a child subsequent to a domestic dispute in the town. Police said Walters had created a risk of injury to two children at the residence and was later processed without incident. Walters was released to reappear in the Broadalbin Town Court at a later time. AMSTERDAM — Antonio Madrid, 37, of Hagaman was charged by state police on Friday with fourth-degree criminal mischief for allegedly preventing an emergency call, driving while intoxicated and aggravated DWI for having a blood-alcohol content 0.08 percent or higher. AMSTERDAM — Desiree L. Krizan, 36, of Fonda, was charged by state police on Friday with driving while intoxicated and having a blood-alcohol content of 0.08 percent or higher. FULTONVILLE – Dawn M. Belawske, 51, of Sprakers was charged by state police on Saturday with criminal mischief for alleged property damage greater than $250 for an incident which occurred in the town of Charleston on June 25. JOHNSTOWN — Angelo A. Saccocio, 63, of Johnstown, was charged by state police on Saturday with driving while intoxicated and having a blood-alcohol content of 0.08 percent or higher. 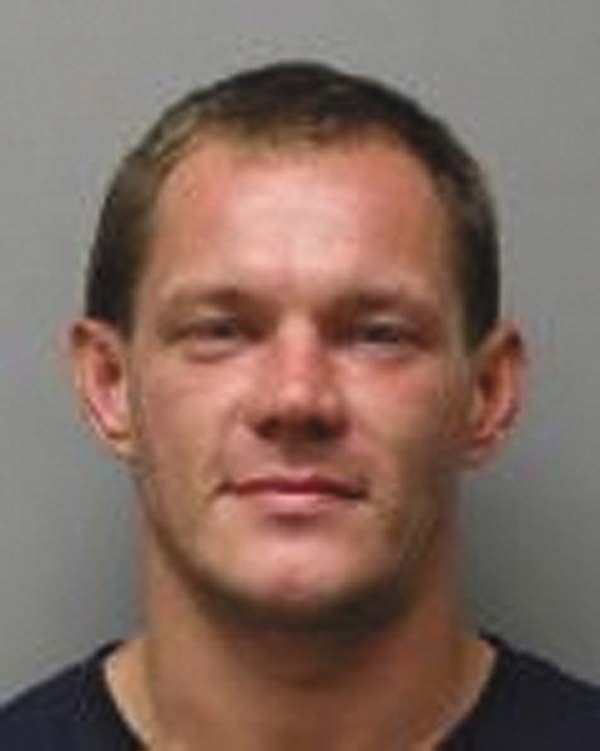 MOHAWK — Kyle R. Stemmler, 31, of Broadalbin was charged by state police on Aug. 2 with unlawful possession of marijuana. AMSTERDAM — Stanley J. Tartaglia, 37, of Cohoes was charged with driving while intoxicated and having a blood-alcohol content of 0.08 percent or higher. JOHNSTOWN — Donald A. Slater, 51, of Sprakers, was charged by state police on Sunday with petit larceny. JOHNSTOWN — Joshua R. Gifford, 42, of Gloversville was charged by state police on Sunday with first-degree aggravated unlicensed operation, driving while intoxicated and having a blood-alcohol content of 0.08 percent or higher.